Large, 5 1/2 -inch flowers are eye-catching in the summer garden. 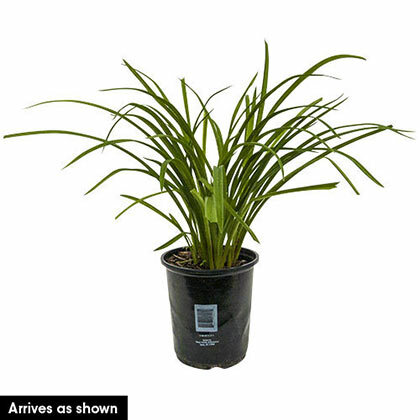 Campfire Embers Daylily is now available in a gallon pot and shipping now. 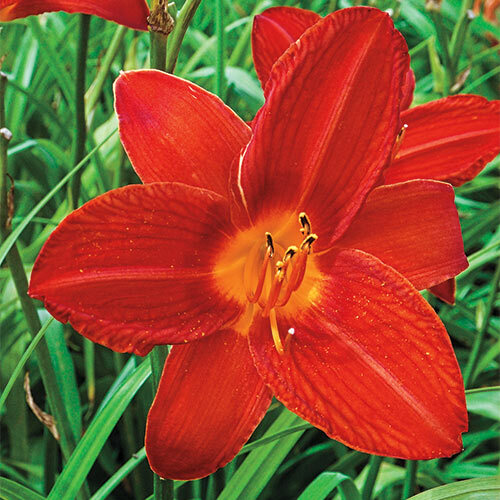 Generations of gardeners have loved daylilies for their cheerful flowers and low maintenance. Campfire Embers adds easy, warm color to mixed perennial beds, slopes and along fences. It grows best when planted in full sun to part shade. Grows 30 inches tall. Potted. Zones 3-9. Flower Form14 cm single, trumpet-shaped, red flowers. Soil RequirementsWell-drained, average garden soil. PruningAfter flowering, remove spent blooms to keep the plant clean. CommentsDaylilies can survive many hard conditions that other plants cannot, including polluted city environments, slopes, and poor soil near pavements that are salted during winter.